Cyclocross came to Raleigh Sunday when Lions Park hosted The North Carolina Cyclocross Series. With more than 209 pre-registered racers and fantastic racing weather, this event was a big success. This was the first cyclocross I attended and I didn’t know what to expect. It took me a little time to find a spot along the course where I could capture some of the action with my camera. After circling the park and navigating around the racing course, I settled on a spot just up from the tennis courts. It turned out to be the perfect location as the course looped back and forth right in front of me. The East CAC will hold its October 2009 meeting at Lions Park Community Center, 516 Dennis Avenue, on Monday, October 19th at 7PM. This month’s feature is the “East CAC History Lesson,” where long-time residents will share some of the history of our neighborhood. Please invite your neighbors for this one as you won’t want to miss it! Also, we’ll hear from Wayne Schindler from the city’s Parks department, who’ll discuss the upcoming renovations to two East CAC playgrounds and how you can get involved. A handful of CAC volunteers will work with the city to help guide these renovations. You could be one of them! We’ll also hear our usual reports from Raleigh Police and the upcoming Parks events, including an exciting bike event coming to Lions Park. Hope to see you there! Posted in East CAC, Event, Meeting | Comments Off on East CAC meets Monday! 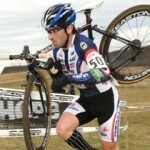 Cyclocross coming to Lions Park! Riding your bike through Lions Park has never been like this before! On Sunday, October 25th, Lions Park will be turned into one giant bicycle course when the park plays host to a day-long cyclocross. 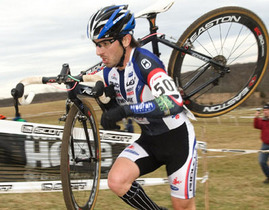 Cyclocross is a fall/winter sport popular in Europe. In ‘cross, as it’s often called, you ride over grassy fields, pavement, wooded trails, steep hills and obstacles that sometimes require jumping off the bike! Races for senior categories are generally between 30 minutes and an hour long, with the distance varying depending on the ground conditions. Racing begins at 10 AM and continues into mid-afternoon. A free race open to kids 10 and under will be held at noon: just bring your bike and a helmet! Lions Park is just northeast of downtown at 516 Dennis Ave. Raleigh NC 27604. No rain date. Call 919-831-6995 the day of the event for cancellation info. The kids race is part of a full day of USA Cycling licensed races sponsored by Inland Construction/Back-to-Dirt racing team, see www.nccyclocross.com. Held in partnership with City of Raleigh Parks and Recreation. Click here for the kids race flyer and the adult races flyer. 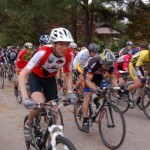 Posted in Event, Uncategorized | Comments Off on Cyclocross coming to Lions Park! Chair Mark Turner called the August meeting of Raleigh’s East Citizens Advisory Council to order shortly after 7 p.m. on Monday, September 21 at Lions Park Community Center. There were about 35 people in attendance throughout the evening. The August minutes were approved. OPENING ANNOUNCEMENTS: Signs are available to help spread the word about CAC meetings. People are invited to take one and put it up in their yard the Friday before monthly meetings to encourage neighbors to get involved. Mark reported that his neighbor and East CAC resident Scott Hazard, a sculptor and photographer, has an exhibit through October at Artspace, a nonprofit visual art center at 201 E. Davie St. in downtown Raleigh. The City of Raleigh will soon be renovating the playgrounds at two East CAC parks: Lions Park and the Lockwood Greenway Park along the Buckeye Greenway Trail. The Parks Department wants to hear from the East CAC about what we want to see in these parks. We’re looking for volunteers to serve on an ad-hoc CAC committee to help guide the redesign of these parks. Wayne Shindler of the Parks Department will tell us more at our October CAC meeting but I wanted you to start thinking now about serving on this important committee. TOMORROW is Election Day! Here in the East CAC we have candidates for mayor and city council on the ballot. Polls open at 6:30 AM and close at 7:30 PM.